Summary: Especially for the drying of solids suspended in liquids, Allgaier Process Technology offers a solution that meets industry’s high requirements for energy efficiency, limited space requirement and high drying quality: the indirectly heated contact disc dryer or CD Dryer. T‌he CD Dryer is an indirectly heated contact dryer. 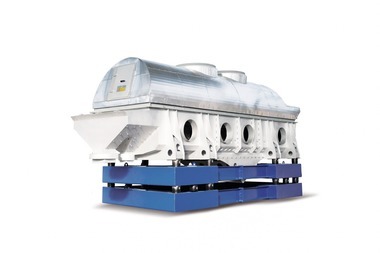 The drying process works as follows: The liquid is applied via a pump and feed pipes directly to the double-walled rotating discs arranged vertically in a pack. The discs are heated from inside by means of saturated steam. The direct heat transfer to the liquid product ensures very fast evaporation of the water and accordingly excellent efficiency as heat losses are minimized. After one disc rotation, scrapers attached to the discs remove the dried solids and feed the dried materials via a product discharge to the next process step – in the form of granulate, films or flakes, depending on the starting product. 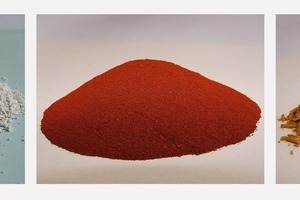 Solids from concentrated salt solutions can, for example, be obtained as fine-grained powder. With the help of downstream conveyors, the product can be transported further or, with the use of a silo or another container, collected directly. 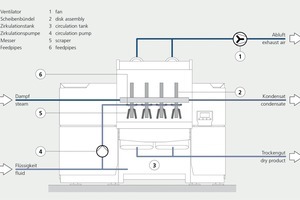 The operating principle of the CD Dryers differs fundamentally from conventional disc dryers in which the discs are submerged in the wet material. They are mainly used only for the reduction of the water content of liquid, paste or bulk products, for example, to save on transport costs. 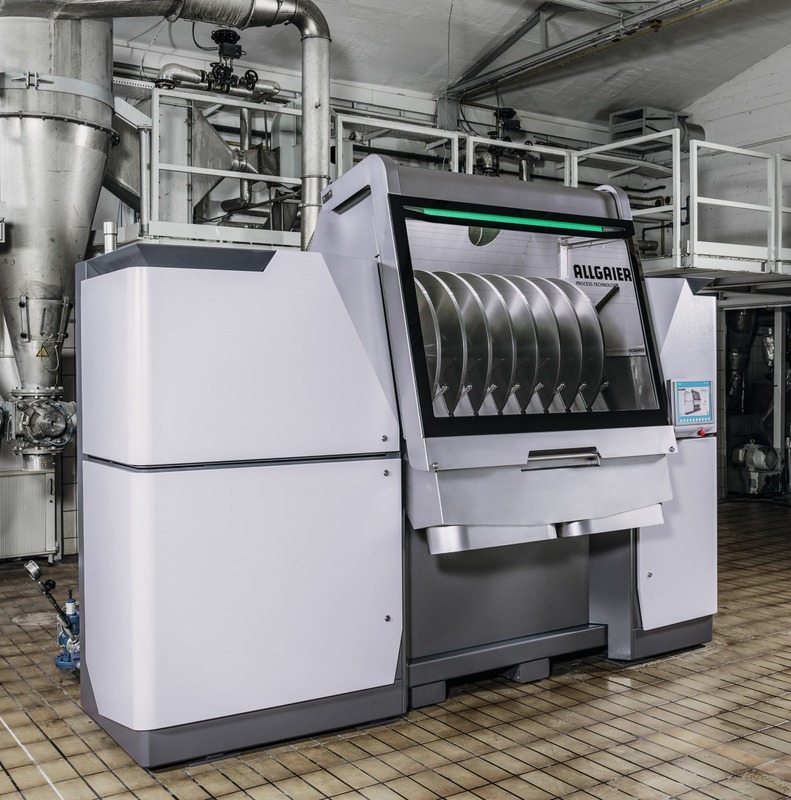 The CD Dryer offers much more diverse possible applications and opens up great potential in a wide range of applications. One branch in which the CD dryer obtains excellent drying results is, for example, the treatment of organic and inorganic industry and special waste-water. A large part of the industrial waste water comes from the foodstuffs segment: abattoirs, breweries, lemonade factories, distilleries and dairies produce large volumes of it and profit accordingly substantially from lower waste disposal costs thanks to product treatment with the CD Dryer. Examples of inorganic waste water that can be concentrated or dried with the CD Dryer are landfill leachate, bentonite and kaolin slurries, waste water loaded with tin as well as tungsten slurries. Another area in which the CD Dryer can be used for extremely cost-efficient drying is the processing of a wide range of vegetable and animal substances such as algae suspensions, beer yeast, distillation residue, fish water or gelatines. Moreover, the CD Dryer dries all pumpable, non-caramelizing substances that do not contain any solid constituents and do not foam strongly. 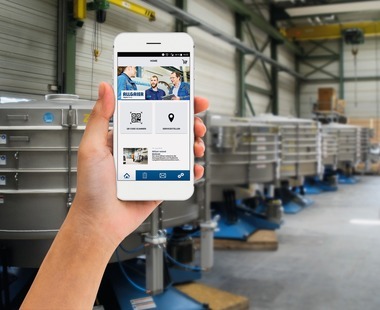 Accordingly, it can be used in almost all processing branches from the chemical industry through the ceramics industry to waste management, waste-water treatment and breweries. 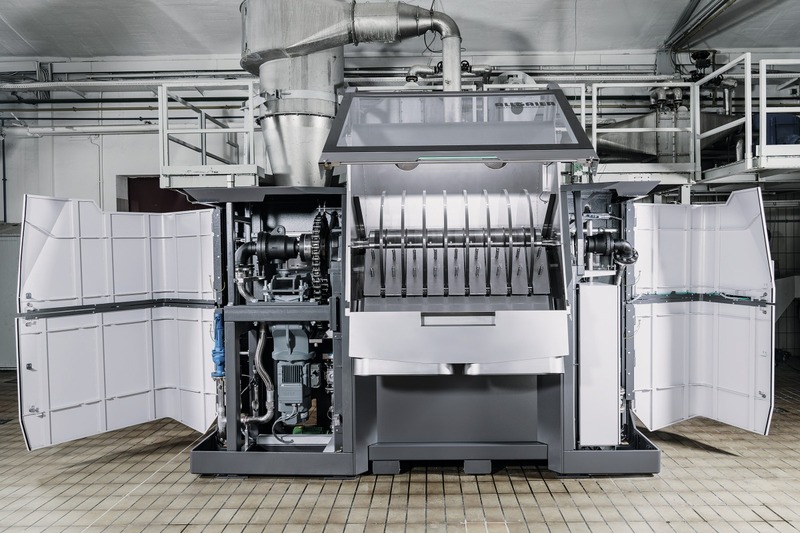 In all these application areas, the new CD Dryer presents an interesting alternative to conventional roller dryers, which are generally used to dry solids dissolved or suspended in liquids. 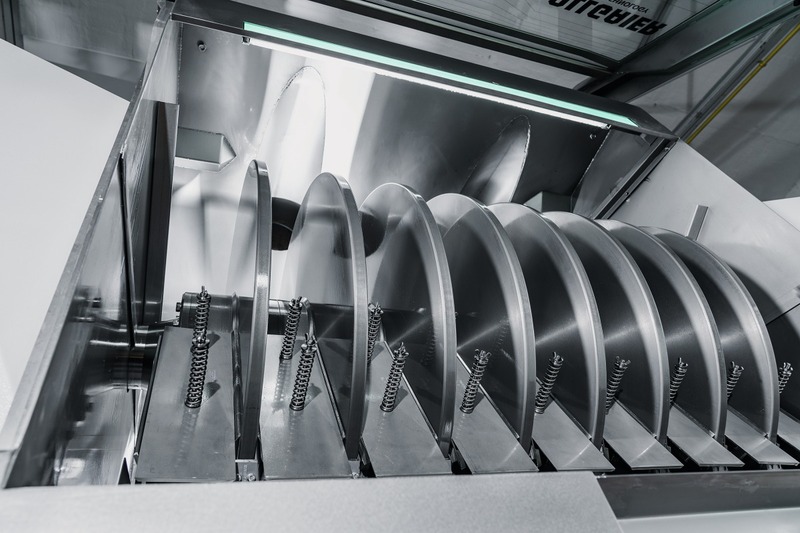 The space requirement for the discs in the CD Dryer is up to 60 % smaller than that of the rollers of a comparable roller dryer with same heat transfer area. The compact design has another advantage: if needed, the dryer can be moved quickly and simply as one unit to another site. The forklift pockets needed for transport are located below the process chambers. The CD dryer offers the widest flexibility in production. The heart of the CD Dryer is the pack of discs. The hollow discs are heated from the inside by means of saturated steam with up to 5 bar pressure. This enables efficient contact drying of the liquid products. Depending on the application or product characteristics, the disc material and the coating of the discs can be adjusted to handle e.g. severely corrosive or even abrasive products. Also depending on the application, the discs can be made of normal steel or stainless steel, and in line with requirements, a special coating can be applied against corrosive and abrasive wear. Diameter and number of discs are oriented to the required throughput rate. Two options are available: Discs with a diameter of 900 mm or 1300 mm. Both disc diameters are available in three housing sizes. For up to 4, 8 or 12 discs (900 mm diameter) and for up to 8, 12 or 16 discs (1300 mm diameter). If higher throughput rates are required, thanks to this platform design, additional discs can be added to the CD Dryer – up to the maximum possible number of discs for the specific type. 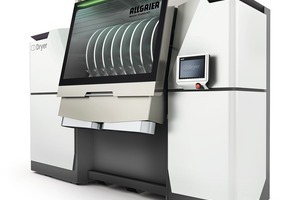 The rugged scrapers for removing the dry material from the heated discs align themselves automatically for optimum positioning on the sides of the discs. For the scrapers, depending on the specific properties of the products to be handled, various stainless steel, plastic or ceramic materials are available. 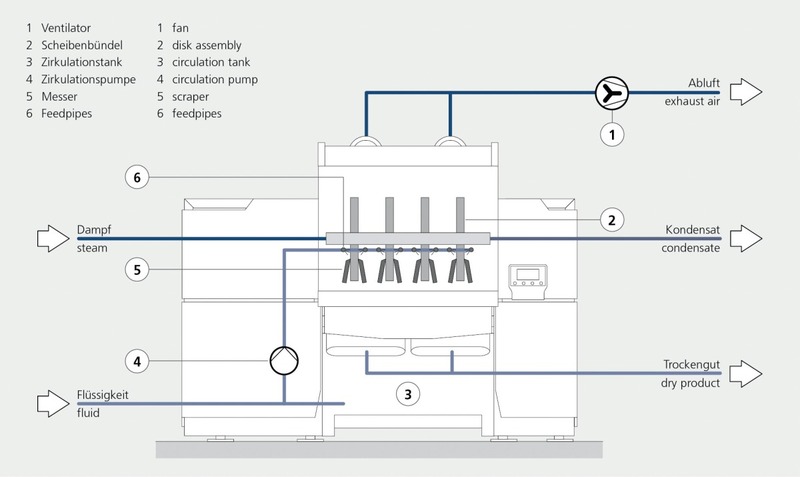 Whether the production process is running as required can be seen at one glance with the CD Dryer. The hood made of laminated safety glass enables easy monitoring of the process during dryer operation. In opened position, it also allows comfortable access to the processing chamber for cleaning or inspection or adjustment of the blades. The two technical chambers – on the left the steam chamber, on the right the condensate chamber – are fitted with inspection glass as well as having integrated lighting for visual checks. For maintenance work, the large hinged doors enable good access to the technical chambers. The current machine or process data can be intuitively displayed or changed on a touch panel. 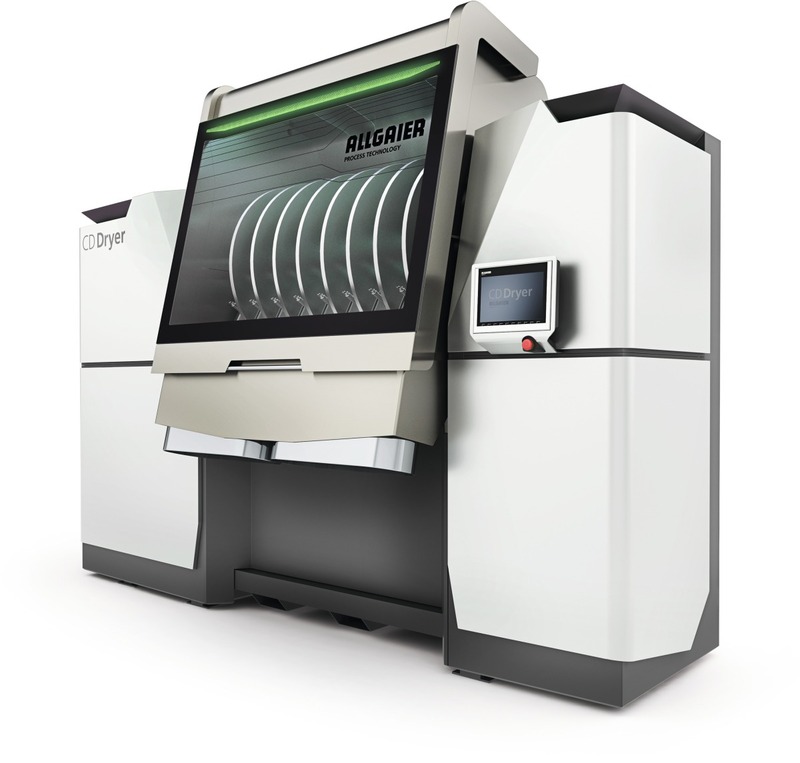 With the CD Dryer, Allgaier is committed to disc drying technology. Compared to drying in roller dryers, it offers crucial advantages: the space required by the central disc pack is much smaller than that for a roller dryer. This is shown by the following example: for a heat transfer area of 24 m2, a conventional roller dryer needs 7.7 m2 of space. A CD Dryer needs just 3.0 m2. 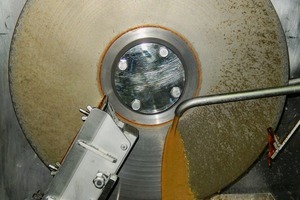 Moreover, the process of scraping off the dried products is comparatively complicated in a roller dryer. The blades have to be very precisely adjusted over a length of several metres. Assembly and maintenance are accordingly time- and cost-intensive. In the CD Dryer, several discs work parallel. Each disc has its own short scraper that aligns itself automatically and is easy to fit and maintain. And when it comes to energy efficiency, the CD Dryer scores further points. The thin-walled, rugged discs of the CD Dryers guarantee ideal thermal conductivity and therefore a high specific evaporation rate per square metre heated dryer surface with a short dryer preheating time. In comparison, with convective drying processes in air operation or with gas circulation, the CD Dryer is a straight contact dryer and does not require any air supply for heat input as heat is supplied to the wet product in direct contact with the heated surfaces. The direct contact between of dryer and liquid lowers the energy consumption in the drying process considerably. 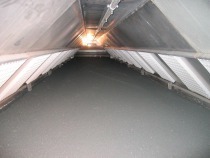 Moreover, with the CD Dryer only small – usually dust-free – waste air streams are produced during the drying process. The low volume of vapours formed is discharged with a high water vapour load. As a result, comparatively low heat losses are incurred with the dryer exhaust air. The reduced quantity of exhaust air compared with convective drying systems has a positive effect on the investment and running costs. Downstream equipment – such as cyclone, filter, washer and exhaust air fan – can be designed on a smaller scale and therefore realized at a much cheaper cost. The CD Dryer technology has been widely established especially in Asia for decades. 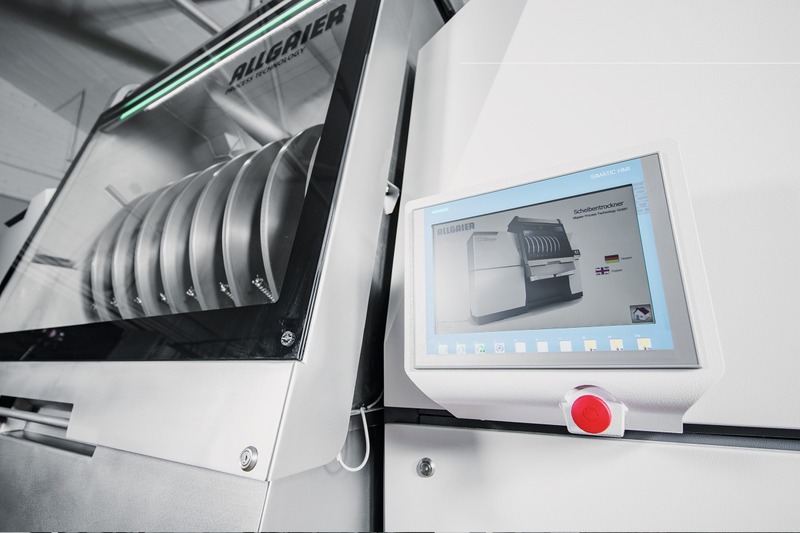 Allgaier Process Technology produces and markets the CD Dryer exclusively for Europe and has adapted the completely technology to meet European CE conformity criteria. The design was completely reworked and presented for the first time in its innovative form at ACHEMA 2018 in Frankfurt. Accompanying the new dryer design, the safety standards were increased massively so all rotating and warm machine components are installed in the housing. The intuitive dryer control with a touch panel with remote maintenance option and process visualization during operation with the new design meet the highest standards. 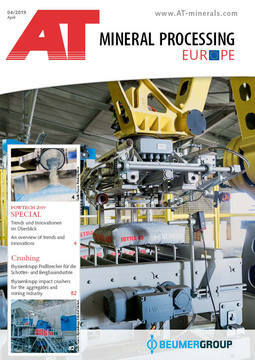 The CD Dryer has therefore impressed in the ACHEMA Innovation Award and was included on the short list for this prize. 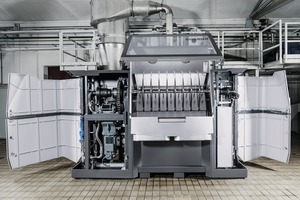 With an experienced partner and its own extensive tests at the test centre in Uhingen Allgaier Process Technology offers a unique contact dryer for treating solids-containing liquids. It demonstrates exceptional robustness when handling load fluctuations and changes in the composition of the suspensions and solutions. 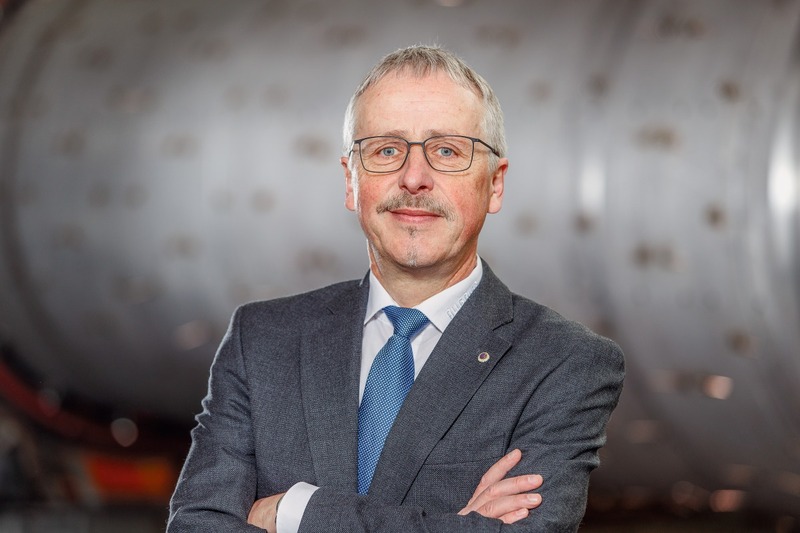 With tests on test-centre scale, the suitability of the CD Dryer for drying a wide range of waste water concentrates has been analysed and confirmed. For design of industrial CD Dryers, tests on pilot scale are conducted at the test centre. With the tests, the specific evaporation rate per m² disc surface, the achievable dryness of the solids produced as a function of the disc speed (dwell time), the optimum steam pressure for heating and the associated optimum surface temperature of the discs for efficient drying and the achievable quality of the dried materials are determined. 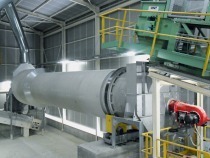 The results of the tests enable reliable design of the industrial-scale dryers. 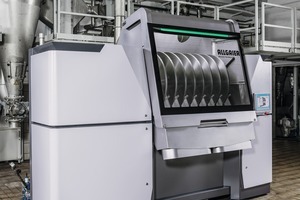 For this purpose, a pilot plant is available at Allgaier‘s test centre in Uhingen for prospective and existing customers to conduct tests with real products. Dr. -Ing. Mathias Trojosky studierte von 1981 bis 1986 Apparate- und Anlagenbau an der Technischen Universität Otto von Guericke in Magdeburg und promovierte 1991 auf dem Gebiet der Wirbelschicht-Technik. Seit 1995 ist er für die Firma Allgaier tätig – zunächst als Vertriebsleiter Trockner/Kühler, von 2005 bis 2015 als Bereichsleiter für Trocknungstechnik. Seit 2015 leitet er die Abteilung Forschung & Entwicklung Process Technology.